Susan Stehlik joined New York University Stern School of Business as an adjunct professor in 1999 and now serves as a Clinical Associate Professor of Management Communication. She also manages a consulting practice, Prime Time Ideas, inc. Her combined academic and profession projects have focused on developing communication strategies for enhancing the corporate and individual presence as well as responding to critical transitions. Her portfolio of specialties includes diversity and leadership training, executive coaching, legal and ethical investigations; as well as work with Emotional Intelligence, and core communication skills. She has worked with a broad range of clients large and small: ABC Television, SAC Capital, Vanguard Investments, Detica, Maharam and Comedy Central, to name a few. The lecture circuit has addressed numerous issues with audiences at the Japan Society, University of Dar es Salaam, IBM and the McKinsey Global Business Institute and many more academic institutions. Recently she appeared on CNN's Anderson Cooper show conducting a case analysis on gender issues in business. 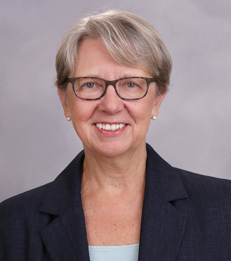 Prior to her consulting work, Professor Stehlik spent 21 years in international finance as a member of the senior management teams at Bank of Boston and Nippon Credit Bank. She has also served as corporate ethics officer.